Do you want your customers to add files to your support tickets? WP Ticket allows you to collect files and media. Easily add or remove file attachment field from your support ticket form. Collect additional information such as images, videos, Word Document, PDFs, etc. 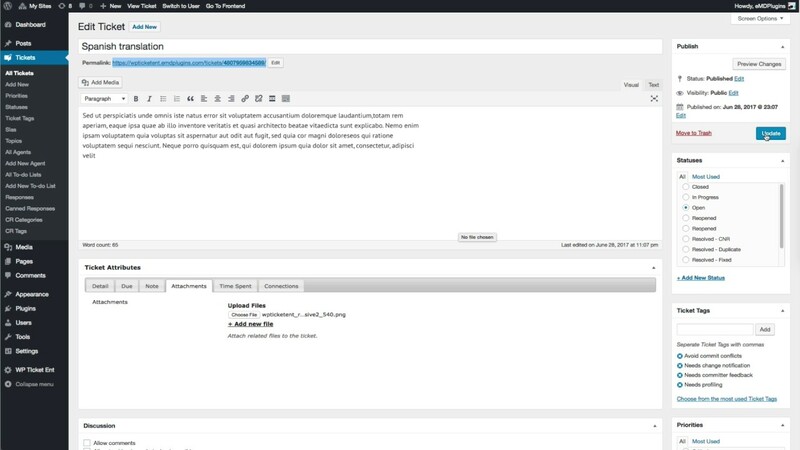 Easily view and delete the attached files from inside your WordPress dashboard.